Bellababy Studio: Coming to Toledo, Ohio! 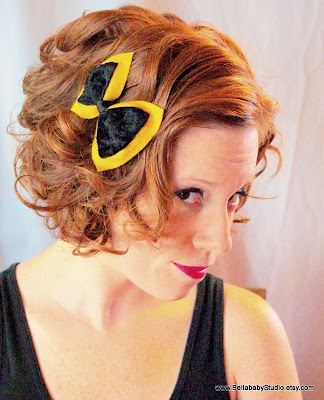 Bellababy Studio Couture Hair Wear is coming to Ohio! All of my Ohio fans will soon be able to purchase Hair Wear at Brooklyn's Daily Grind located in Toledo, Ohio. While starting your day with a fabulous cup of Jo, you can also spruce up your style with some brand-spanking new Bellababy Studio Accessories! Stay tuned for the next 2 weeks to find out when they arrive! love it! love! love it!